Baton Rouge is a beautiful city in the culture-filled state of Louisiana. It's about an hour and a half drive from one of my favorite cities in the US, New Orleans!! 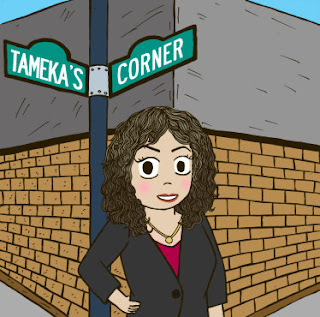 Have you ever been to New Orleans to experience Essence Music Festival? Bayou Classic? A NFL Saints game? or just to experience the fantastic fresh seafood and authentic sounds of a local brass band? Well, if not, I would highly suggest you pay New Orleans a visit. But back to the topic at hand, since this particular post is not about New Orleans, but about its' neighboring sister city, Baton Rouge. Baton Rouge is easily accessible from two convenient interstates. It sits right at the west intersection of Interstate 10 and Interstate 12 and the Mississippi River. Baton Rouge is also the capital of Louisiana. Antebellum landmarks include the castle-like Old Louisiana State Capitol, now a museum, and Magnolia Mound Plantation, with its French Creole house. Baton Rouge is also the home of Louisiana State University and the LSU Rural Life Museum, which is a complex of refurbished buildings illustrating 18th- and 19th-century life. Additionally, the USS Kidd sits on the river and is a retired WWII destroyer that is now a museum. PARKING: Getting to the parking lot was a little tricky. There is no direct entrance from the street. 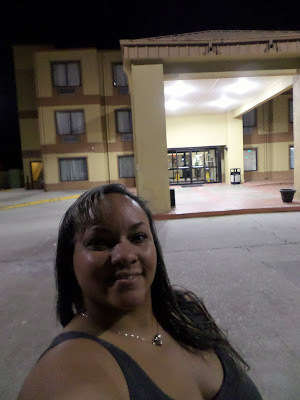 Although the hotel is right off of the highway ramp, you must drive up the street a little ways into the Hobby Lobby and Storage facility drive way. Upon arrival, the parking lot seemed small for the amount of room in the building but surprisingly, the parking lot never filled up completely. Therefore, everyone was able to easily find parking and everything seemed to be fine. EASE OF CHECK IN/CHECK OUT: Check in was probably the best part of the entire experience. The agent was extremely friendly and efficient. Check in was quick, and before you knew it, we were comfortably in our room. The agent asked if we had a room/floor preference and then gave us all of the pertinent information needed to enjoy our stay. He accommodated every request. CUSTOMER SERVICE: Customer Service is most likely the reason why this property has a four star rating on TripAdvisor. Each request was met with an emphatic "absolutely." We weren't here long enough to need a lot in the way of customer service but everyone was helpful and displayed positive attitudes. 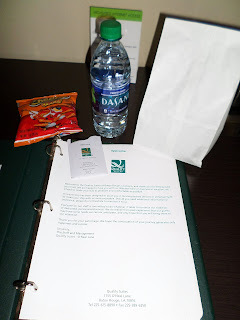 REWARDS STATUS PERKS: Being that we are Diamond Elite Members with Choice Properties, upon arrival we received a welcome gift bag that contained some of our favorite snacks, Cheetos and Bottle Water. 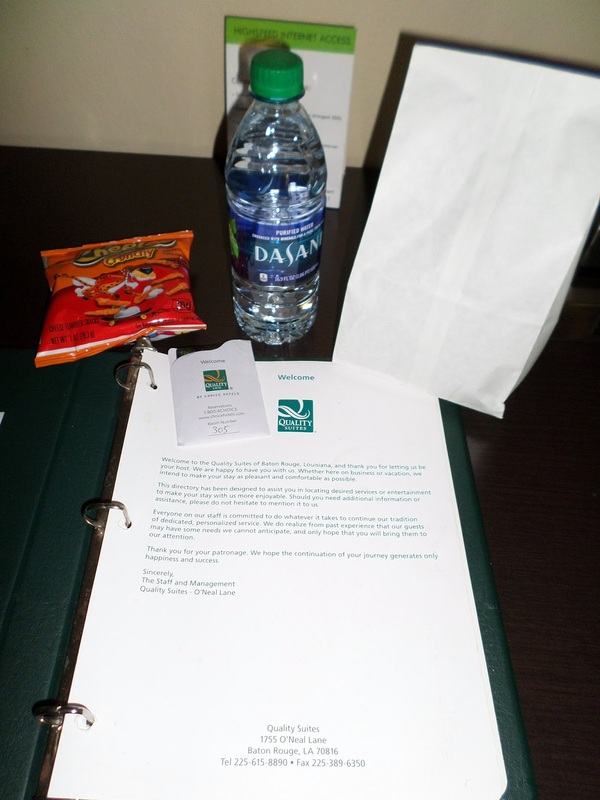 :-) We were treated like we were priority guest and I immediately received my Choice Privileges Midweek Extras in my email inbox. After check-out, I received my 50% elite point bonus along with my regular points. We also received our digital copy of USA today the next morning. Hard copies were also available at the front desk. As I always say, Choice Properties has one of my most favorite Lodging Rewards Programs!! CLEANLINESS: The cleanliness was good. We saw no major issues with cleanliness. 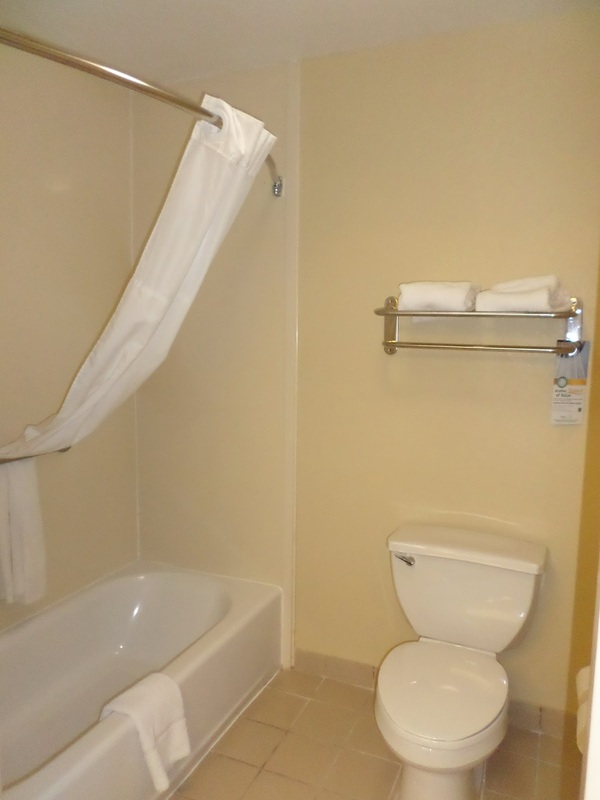 The main areas of the room were good, including the bathroom, counter top sink area, and linens.The air conditioner could stand to have a thorough annual deep clean but it was not bad. Additionally, the windows could stand to be cleaned more frequently. DECOR:Our room was a little outdated in terms of carpet, decor and furniture style. However, the bed and lazy chair still felt extremely comfortable even though it looked a little "old style" in my opinion. 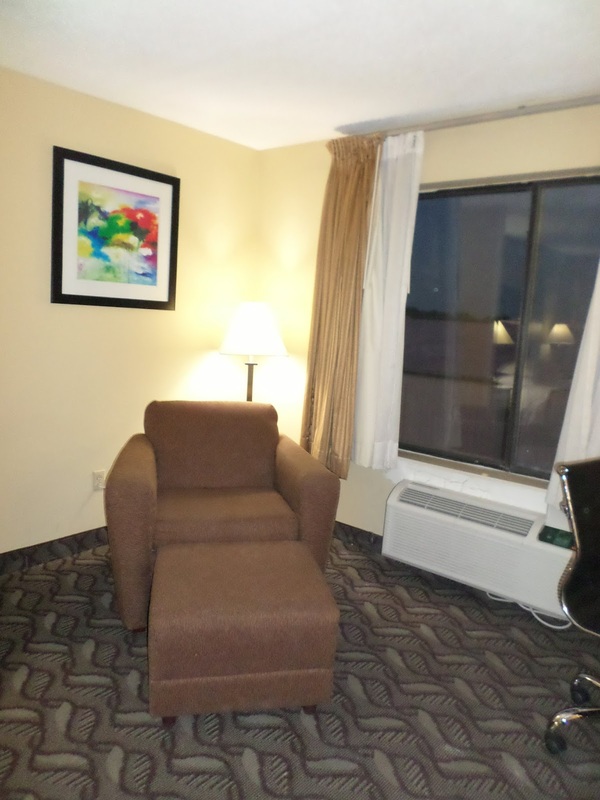 I must also add that the sitting area that is directly in the center of the hotel is extremely up-to-date with contemporary furniture and decor. The breakfast area is also very modern and comfortable. LOCATION: The location of the hotel was ideal for the business that I needed to handle while in Baton Rouge. It provides super-easy access to both interstates and there was limited congestion when leaving the following morning during rush hour. One of the downfalls was that there were not any restaurants or fast food places on the street with the hotel, that we could tell. However, there is a gas station within walking distance of the property, which was nice. BREAKFAST: This particular property provides a hot breakfast that consisted of sausage and egg omelets. They also had the traditional fare including pastries and yogurt. There was an attendant available to replenish so the items never ran out. They also have a waffle iron to make waffles. There was plenty of room for every patron to sit and enjoy their meal. WI-FI & TECHNOLOGY: Although we did not use the Wi-Fi much, it worked fine in our room. There were no glitches or hangups while trying to access it. EXTRAS: It was nice that each room comes with a fridge and microwave. Additionally, they have an outdoor pool, fitness room, and laundry room on-site. They also have conference rooms available. VALUE: This property was a good value for the budget. 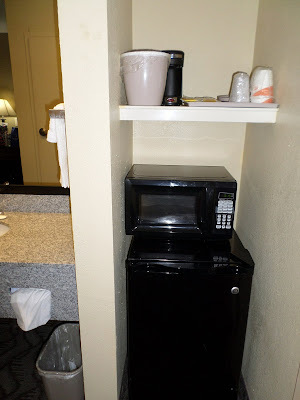 While there are plenty of other budget friendly hotels in the area, we didn't want to take a risk because they all seemed to have bad reviews. (I am so into reading reviews and the other hotels in the area seemed to be "you get what you pay for" types). I was pleasantly surprised with our experience here and glad we choose to spend a little more than the others were charging (in the same class range) to get a more premium experience. Speaking of value, as always, by creating our booking using Ebates, we received 2.5% cash back. What's your favorite Louisiana City? Have you ever experienced Baton Rouge? Any recommendations on "must try" things to do while there? 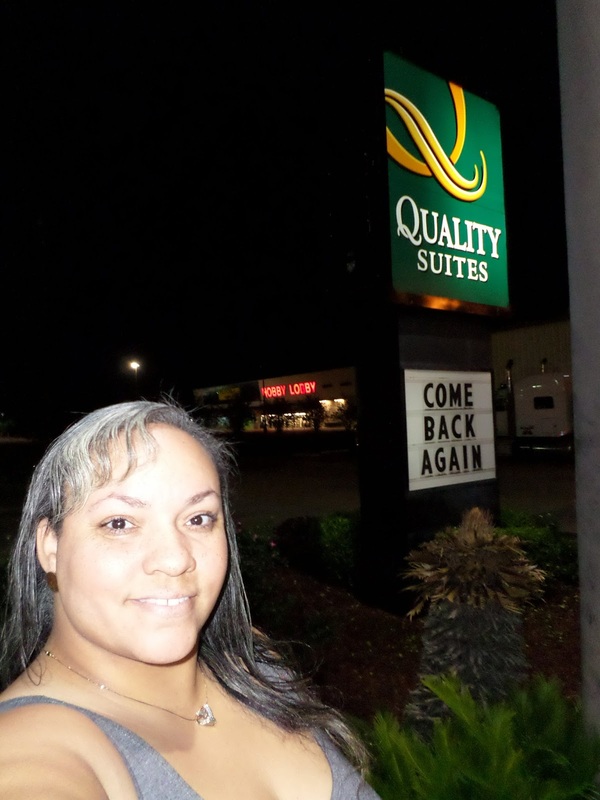 Also, let me know if you've ever been to this Quality Inn or other choice property and your thoughts!